Manage your punters club with your mates for free! 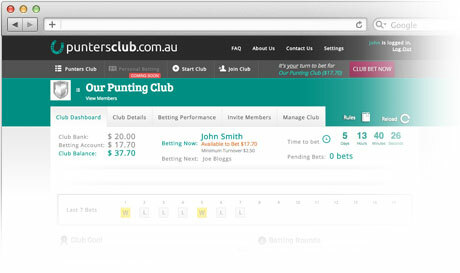 The PuntersClub.com.au dashboard shows your club's current betting details, balances and the performance of each individual club member. The dashboard also gives you all of your clubs statistics and details statements so you always know exactly where every dollar is. 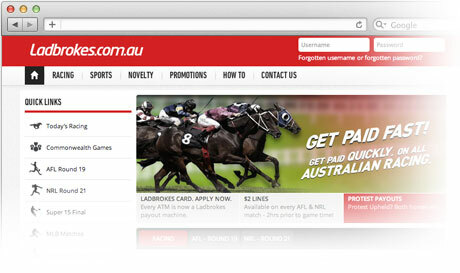 PuntersClub.com.au is powered by Ladbrokes.com.au, one of the most trusted and highly regarded betting companies in the world. With a PuntersClub.com.au account you will have acces to all of the features and promotions available on Ladbrokes Australia. The PuntersClub.com.au website is powered by Ladbrokes.com.au and brought to you by Panda Gaming Pty Ltd and The Great Tip Off Pty Ltd, who have been serving racing and sports punters in Australia for many years with sites including HorseRacing.com.au and Races.com.au. 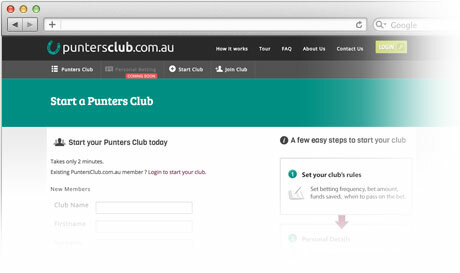 Setting up a PuntersClub.com.au account is easy and best of all free. 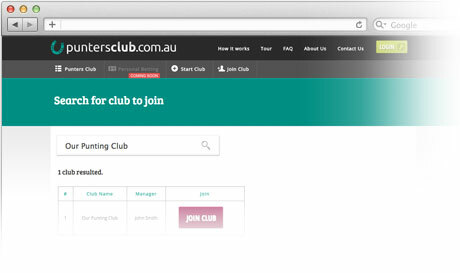 You can invite your mates to join your club or set them up as punters even if they don't have acess to the Internet. Members are kept up to date with all club details including who is betting, what bets have been placed, and the betting results. New members can join your club anytime, you can either invite them or they can search for your club name. With the detailed club history records, inclduing all payments and betting returns, every member of your club will know exactly what their share is. Bet with your mates in your own punters club!